We get asked for recommendations all the time. Google exists. Yelp exists. There are dozens of websites telling you what to do in Kansas City. MIKC Explore was designed to fulfill the role of what your friend would recommend. Well, Kansas City, I’m that friend– and I’m compelling you to add a new tradition to your holiday experience. There are certain things in life that hold sentimental value; the smell of a real Christmas tree, the crackle of a fire, the taste of egg nog or apple cider, the sounds of the season. Sometimes your senses trigger memories and nostalgia. And sometimes it’s something far more inexplicable; the way a cheering crowd can evoke emotion, or the way a landscape can engulf you with awe. For me, music has always been one of those powerful forces. And whether you appreciate small acoustic sets, raucous jazz jams, or a roaring concert hall, I’m urging you to see the Kansas City symphony this holiday season. Over the Thanksgiving weekend, I had the opportunity to hear Mozart’s “Jupiter” with Hayden’s Trumpet Concerto and it was a poignant reminder of the privilege Kansas Citians enjoy with a world class symphony, led by a world class conductor, and in a world class performance hall. 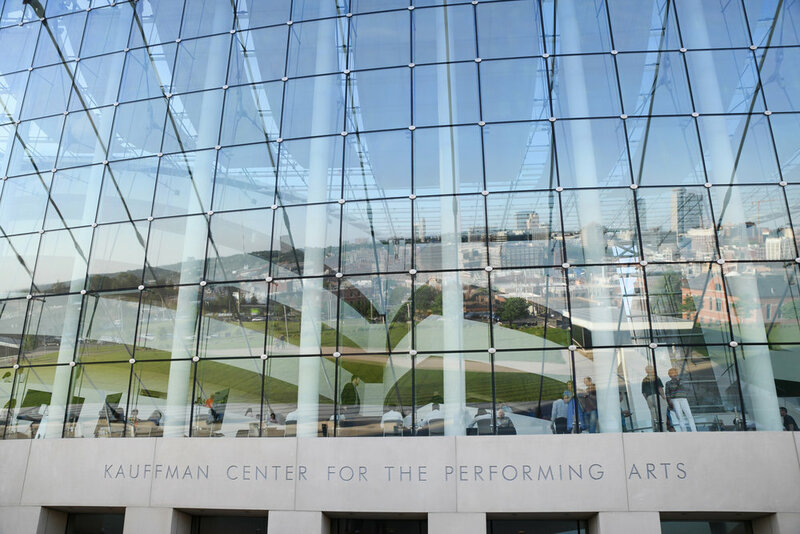 As Made in KC looks to the future, we’re looking to nurture, inspire, and cultivate creativity throughout the city– and not just in the artisan and maker scene. A big part of that is encouraging you, our customers and readers, to fully immerse yourselves in the creative culture of our city. As a longtime symphony season ticket holder, I find the symphony to be a heartwarming and uplifting experience that, for me, is equal parts therapy, inspiration, and admiration. The symphony fills me with pride for our city and I want to support it the way we support the other things we love in this city, from our sports teams to our museums to our charities. So, if you’ve been in need of a nudge; if you’ve been looking for that excuse, here it is. The Kansas City Symphony has partnered with Made in KC in an effort to continually draw our community tighter, encouraging our patrons to be theirs and visa versa. They have generously supported our holiday catalog and are supporting our ongoing MIKC Explore content. In turn, we have partially underwritten Handel’s Messiah this weekend. Whether you attend the Messiah, the Christmas Festival, or It’s a Wonderful Life in Concert, bring us your ticket for 25% off any one item any time in December. Support one of the absolute treasures of our city, embrace the spirit of the season, and enjoy the emotive experience of the Kansas City Symphony. Tickets to all upcoming concerts can be found here.